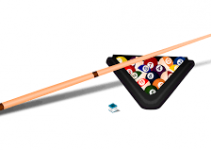 We are familiar with the popularity of the game Pool and how it is enjoyed by all kind of players be it beginners, intermediate players, and experts. Over and time again we have discussed best manufactures of the pool balls set and which companies manufacture most durable balls and cues. Aramith, a Belgium based company has been the industry leader and pioneer of Pool Balls for many years. 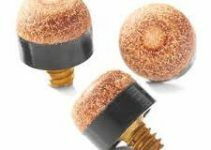 However, many companies including Brunswick Centennial Balls have emerged in the industry over the passage of time and given tough completion to the industry leader. Different kits are offered by all these companies catering to all categories of players. There are enthusiastic players who like to play the game for pleasure and want to invest in a durable pool ball set to be kept at home. We will discuss why a player should buy their own Pool Ball Set. What perks and benefits are there owning your own Pool Ball Set and most importantly what are the best pool balls. We will be categorizing the Balls in terms of their cost and affordability. Beginners might be interested in investing a cost-friendly amount on the game. On the other hand, experts and intermediate players would like to know about the best performing capabilities of the pool balls. The cost might not be a driving factor for them in making the product purchase decision. First, let’s address the benefits of buying your own Pool Ball Set. Then we will provide reviews of different pool balls based on purchasing power category. In the end, we will discuss buying guide for Pool Balls. Every enthusiastic player enjoys the convenience of availability of the kit for the desired game. There is no other joy for the player than to have your own kit and play whenever you like. No hassle of rushing to another place and book time for playing. Conversely, many players only buy balls and don’t own a table. They like to carry the balls themselves and play where snooker tables are offered. Additionally, the game improves when you maintain the balls and table. Your game can improve overnight if the balls are not chipped and the momentum is passed on correctly. The balls and tables are not well kept in public places. Many places don’t go through the trouble of keeping the tables in good repair. The reason for this is that good maintenance is fairly expensive and time-consuming. They would enjoy the convenience of going with defective balls and only provide a place to the players to enjoy the game. Defective balls are cheaply and quickly remedied. Hence, players who want to enjoy the true experience of the game should buy their own Pool Ball set. They should not rely on public places to play the game as it might not give them the right practice and joy of the game. Once you decide that you want to buy your own Pool Ball Set you would like to know which product will prove to be the best investment and value for money. So, let’s discuss Best Pool Balls available in the market. The Aramith Tournament Pool Ball Set is well known as the best set of pool balls available in the market. These are the same pool balls seen on ESPN and used by the pros. They are used in all the professional tournaments played internationally. All the tournaments of professional players which air on the television use this Pool Balls Kit. The 4 and 12 are pink while the 7 and 15 are brown/tan to make the balls easier to distinguish when on TV. This set includes the Super Aramith Pro Cup Cue Ball, which features six red dots allowing you to see the cue ball’s spin. We guarantee you won’t find a better set of pool balls. The Aramith Tournament set features the Duramith™ technology with its hi-tech engineered molecular structure enhancing drastically the longevity of the balls while minimizing significantly table cloth wear. With a lifetime that exceeds up to 8 times that of the average polyester and phenol-like resins, reaching easily up to 40 years in residential use, Aramith ball sets are the logical choice for both the trade and the player. They are definitely worth the price and appearance-wise the best pool balls available in the market. Brunswick Centennial endeavors to separate itself by being unique in relation to different billiards organizations. You shouldn’t probably turn out badly with the Centennial Billiard Balls. It is one of the best pool balls under 400. There is some debate and discussion going on whether they are worth the extra money. Most of the customers have given positive feedback. The colors of the set are vibrant. The whites are luxurious and milky. That is not a usual flat cold white but more like a bone white or a milky white with depth, warmth and substance. That gives the player a real classic feel. These are the balls you should go for If you’re not a fan of the TV balls with the tacky pink 4 and the measles cue. The look of the design is a bit unique. It has “darts” at the numbers which is cool. It is also considered by some players that the edge of the stripe indicates an exact half-ball hit if the number is facing you. Number out in the white on the striped balls is preferred by players than numbers in the stripes. Additionally, the sound produced by the strike of balls is observed to be praised more and considered more satisfying. On the whole, Brunswick Centennial is the pool kit you need if you are looking for best quality with subtle brightness of the balls. It is the best pool balls set available under 400. The set is of superior quality. A soft muted click and beautiful long roll are observed on the ball. It comes with 1-7/8” white red dot cue ball (which is also known as measles ball), the black stripped no 8 ball and 2” red and yellow balls. 4 and 12 balls are pink. 7 and 15 balls are brown. All the balls weight 118g except cue ball which weights around 98g. The cue ball is relatively smaller than other balls. The measles ball is a little odd at first but one gets addicted to the ball and later it gets hard to play without it. If you want to invest in a decent pool table and play regularly, these are the balls to buy. They are mostly owned by professionals or avid players who want to pursue the game seriously. The decision of purchase will absolutely not be regretted and they are definitely worth every penny. Cyclop Pool Balls are recently introduced by a Taiwanese company. Since its entry in the industry, it has taken a toll and emerged after releasing another high-grade Phenolic resin ball set. It is designed in house with the manufacturing material imported from Germany and Japan. The balls have an instant reaction to the pool stick which is due to the flexible elasticity. The balls also have high sensitivity as they are sensitive to react on the strikes. This is also the reason that the tail speed of the ball after hitting is high. The internal molecular density is high which improves the quality of the ball enabling it to react accurately to the strikes and making the game interesting and enjoyable for the players. This pool ball set comes under 300 and gives value for money to the customer. However, some of the customers have not admired the dot on the cue ball instead of Cyclop’s logo. Customers have also not really applauded that balls don’t conform to standards weights. The cue ball weighs exactly 6 oz just as expected. But the rest of the balls also weigh 6 oz, not 5.5. Players take some time to adjust to this change when they buy this set of balls. Cyclop Pool Balls is predominantly targeted towards intermediate players. These are one of the most sought after and frequently used balls. They are preferred by beginners and intermediate players. Aramith Premium offers prolonged longevity with high Vitrotech technology and high resistance. Vitrotech technology is a heat curing process which fully stabilizes material tensions. It produces a high-density surface that offers maximum impact resistance. This is one of the major contributors to the superior quality offered by Premium. The smooth surface of the balls reduces the wear and tear of the table cloth and balls resulting in lowest ownership cost on a replacement. These balls do not mark up the table cloth leaving it as pristine as the day it was installed. The Aramith balls are very smooth and respond with a lot less power than the old balls. I would recommend these to anyone that wants a better game. Premium balls are still playable even after 400,000 hits whereas other balls are considered unable after that many amount of hits. Their price is set slightly higher than 150 in the market and they are recommended to be purchased to enjoy the game in its true sense. This set of pool balls is priced under 150. It is the best compromise available in the market between quality and price. It is also targeted for beginners to intermediate players. Premier offers classic “numbers in the strip” look and tight cosmetic criteria. Premier is the only balls set in the world made of pure phenolic resin making them last longer than balls made of polyester or other polymers. 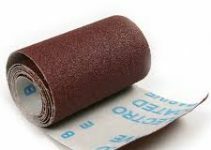 Phenolic resin gives it the edge of having far better longevity than polyester and other phenolic sets. Most customers find hard to choose between Aramith Premium and Premier. This is due to the reason that both have almost similar attributes. Both Premier and Premium come with brilliant colors designed with perfect weight and balance. However, there is a minor price difference of $10. This is where the enthusiastic players choose to go with Premium and relatively fewer pro players of the game buy Aramith Premier. When we look at the options of best Pool Balls under 50, Viper Billiard Master is the one which instantly pops up in the head. They are mostly bought by players who are relatively new to the game. They prefer to get their hands on the game by practicing on these balls. The major reason for them is the unwillingness to spend a high amount on the other balls. However, with the passage of time mixed reviews have been observed of the balls. There have been certain complains that the color of the balls starts to come off after some time. Another undesirable observation has been that the font is off in some of the balls. Moreover, even the numbers were crooked in certain cases. All these factors clearly show that the cheap price being offered certainly does not offer the product quality. This may not enable the player to enjoy the game to its full. This product is only recommended to buy to players who want to practice for a while and plan to switch and invest in other pool ball sets in prospect. If you are a beginner but still not sure if you want to take pool seriously then this is the best pool balls set for you. This is one of the most cost-friendly option of Pool Ball sets available in the market. They are priced a bit low than 25. The low cost does compromise the quality on many levels. These set of balls are also targeted for the total beginner players. One of the most prominent issues with Empire USA Deluxe Pool Ball Set is that the weight of the balls is observed not to be uniform. A customer has reviews that almost 6 grams difference is found between ball to ball. This is definitely a turn off for the players. The weight of the ball reflects the roll and flow of the balls. Inconsistency performance of the balls will be perceived with the difference in the weight of balls. Some customers have also bought this set for the kids to let them explore and enjoy while they practice on these balls. Again like Viper Billiard, this set of balls is also recommended for short term use. Enthusiastic players should not consider buying it as they will regret their decision. The reason it makes into our list for best pool balls is that we want something under everybody’s budget. From that perspective, it really is a great pool ball set under 30. In this section, we will discuss the features and essential parameters of the kit which should be considered before making an investment in a pool ball set. The players judge the skill level offered by a ball set on certain parameters. In case of absence of those parameters in the kit, players might not enjoy playing and might quit using a certain pool ball set. Additionally, there are some features which are considered as an enhancement in the overall kit. They add value and enhance the worth of the kit. Contrarily, there are certain features which work as fundamentals. They are the fundamental need of the players without which the kit is incomplete and the player might switch to other kits in search of the required parameters. The weight of the ball is one of the major contributors in the roll of the ball after a strike. It is also imperative that the pool ball set has uniformity of weight among all of its balls. Some sets also offer a lighter weight cue ball which makes the game more interesting. The weight plays a vital role in the performance of the ball as it calculates the density of the ball. There are pool ball sets which have a difference in the weight of the balls. They are ranked poorly by the players as it drastically impacts their performance. The density of the ball attributes to the concreteness in the making of the ball. A solid hardwood used in the construction of the ball definitely enables the ball to bounce and give instant reaction to the touch of the cue stick. The pool balls which use Vitrotech technology offers prolonged longevity with high resistance. Vitrotech technology is a heat curing process which fully stabilizes material tensions. It produces a high-density surface that offers maximum impact resistance. The material used for making the ball definitely contributes a lot in the performance and quality of the ball. Phenolic resin is the best material used. It is most commonly used by Aramith in all its pool ball sets. These ball made of pure phenolic resin last longer than balls made of polyester or other polymers. There are balls available in the market which are not using superior material in its making. These balls chip faster than phenolic resin balls. To ensure the quality of the game ball material should definitely be considered before the purchase. It is definitely one of the fundamentals to check before making an investment in a new pool ball set. All the balls should have a similar area and circumference. That will define the uniformity of the balls. A better round shaped ball delivers better performance on the table. So a better idea would be to check if all the balls of the set have uniform roundness. Error in roundness results in imperfect shot trajectory. Every player enjoys treating their eyes with bright and shiny balls while playing the game. Color consistency is one of the major elements here. However, it is observed that the color of certain balls starts coming off after some games. That is one of the major turns off a player can experience. That spoils the table cloth and also the tempo of the game. The vibrant color of the balls definitely enhances the game for the player. The glossiness of the ball adds to its cosmetic beauty along with the vibrant colors. At first glance, it is one of the first things a customer notices while selecting a pool ball set. However, seasoned or expert players do not worry much about the glossiness of the ball. Experts prefer the performance of the balls which is determined by its material and density. Vitrotech finish balls offer more glossiness and shine to the balls which add to overall cosmetic beauty. So, the customers who want to purchase balls with long-lasting glossiness should check if the pool ball set is using Vitrotech finish. The best Pool Balls in the market have been categorized. Different kind of players have different preferences and that defines the amount they are willing to spend on the purchase. All of them are categorized and suggested the best available pool ball set according to their budget. Aramith has emerged time and again as the best manufacturer of the Pool Balls. Although, new entries have entered the market and they are performing well as well. But professionals still prefer Aramith over other options. The passionate players prefer to buy their own set of pool balls. They realize that public places don’t undergo the effort to devote cost and time in order to maintain the balls. Therefore, they prefer to buy their own set of pool balls. They dedicate their time and efforts to maintain their personal set of balls. The game improves dramatically if the balls are not fragmented and the momentum is passed on correctly. Moreover, owning your set of balls gives you the privilege to enjoy the game at your own pace and convenience. When you purchase your own Pool ball set you easily look out for the parameters required for a good game. You can check the weight, density, roundness and cosmetic beauty of the balls. That will assist you to pick the one set of your choice and enjoy the game to its max.